KampOut! 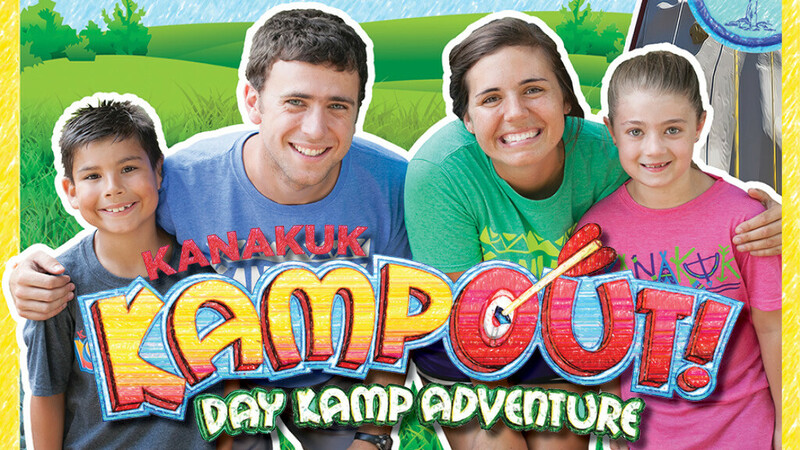 is a week-long, high-energy, non-stop excitement, traveling Christian day camp experience from Kanakuk for 5- to 12-year-olds. Every KampOut! Kamper will see and hear that God is a loving Father and wonderful Creator who loves them and desires for us to love others. Counselors have been hand-picked for their Christ-like patience and sensitivity, and they are committed to creatively share the importance of a life lived for Jesus Christ. Kids will have a blast flying down a zipline, scaling the climbing wall, bouncing in incredible inflatables, and laughing at our crazy skits! REGISTRATION: Click here, then click on "Availability & Pricing" in the left menu-bar, then scroll down to "Houston TX." We are looking for families who could host three counselors from August 3-9. The counselors will be at Kamp most of the time, so the main job for the host families (besides providing a place to stay) is providing breakfast and dinner each day. Medical volunteers need to be CPR and First Aid trained. To host a counselor or to be a medical volunteer, contact Alicia Boykin.